Do you have the financial skills you need? 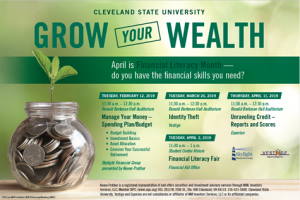 Cleveland State University is offering a series on Financial Wellness to its student and faculty, including the Cleveland Marshall College School of Law. 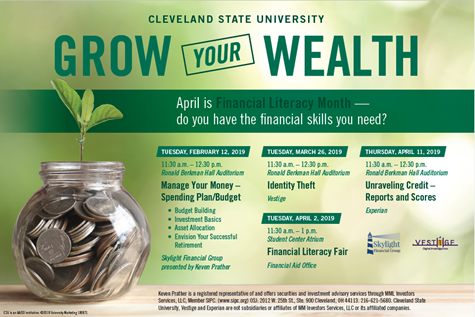 This financial wellness education series is held on the CSU Ohio campus. Presentation will discuss current ways by which individuals are having their identities stolen in our digital world. Will also cover topics on how to prevent identity theft as well as what you can do should you become a victim of identity theft.